German choreographer Pina Bausch is considered to be seen as both influential and controversial. Although she is from Germany and trained in New York, her sensibility is still firmly European in the visions of a dark, brooding and tension-filled world her theatre depicts. I chose to share Pina because she is one of the few creators who have transformed the arm form in which they work. Rather than just sticking to the performance aspect of dance and the shapes and other dynamics of dance, she pushes dance into a different, more complex and abstract direction. Her pieces explore the inhumanity of men and women towards each other and their surroundings, and shows the different interactions between the individuals. I love that she isn't afraid to step outside of the box and admire her willingness to dare and challenge her dancers. Being a dancer personally, I've been asked to do things outside of my comfort zone or to explore a concept further during a number and I really respect the work that choreographers and dancers put into a number to convey a message to the audience. Her pieces are so unique from anything I've ever seen before- I envy those who've gotten to work with her or see her in action. Her pieces can be brutal, aggressive, and physically and emotionally exhausting. Truly the honesty and rawness of her work is what makes her so compelling to me. This site covers what the New York Times had to say to it's audience about Pina Bausch. It informs the reader of her basic information including where she was born and when, then it focuses mainly on her experience and specifically refers to direct quotes from Bausch during an interview about some of her pieces. This webshare talks about Pina Bausch after her death and before her death. The author of the text on this site discusses why she was such an influential choreographer, and why she was considered to be so "mighty." The site also touches base on when her company was founded and the background of that. This lecture specifically talks about Pina's choreography and the process of her work and how it differs so greatly from other choreographers. This webpage shares Jennifer's youth and how she came to rise to fame. It gives some information about her family background and where she grew up. Also, you can look at who she has married throughout the years. This web page is Jennifer's personal website. On the website you can look up music videos that she recently released among other videos. Also on her website you can access recent news on her such as where she has performed lately and also you can get pictures. This web page mainly talks about how many talents Jennifer Lopez really has. Besides just being a singer and dancer, she is an actress, fashion designer, and producer. While doing all these things she still manages to keep putting popular albums out in the music industry. Jennifer Lopez was originally born and raised in the Bronx, New York. Living in a rather tough area, she had to really work for her career in the music industry. Not only can she sing in Spanish and English ( and have top charts with both), but she is also a talented dancer. She is inspiring to me because when she performs, you can really tell that she loves what she does and that she puts a lot of effort and heart into it. Not only does she do the "typical pop type of dance moves" but she also strives to stand out from the rest by dancing different styles of dance such as latin ballroom. On top of all this she has managed to stay in the music industry creating chart toppers and continually winning awards for many years. Elliott Erwitt is a photographer known for his portraiture and ironic candid photography. He shot black and white film, that also being the most common mode of photography during his career. His studies in photography began when his family moved to the United States, though his career in photography stretches throughout the world. Working under many other well known photographers, as well as agencies like that of Magnum, Erwitt has made a large body of work that is unique in its style. Being a photographer myself, I have found Erwitt's work to be rather influential for me. His ability to make a photograph at the perfect moment is nearly unparalleled. As coined by Henri Cartier-Bresson, the term "The Decisive Moment" describes the peak of action within a photograph. A moment earlier or later, and the photo would be less in meaning. Erwitt's ability to constantly produce a photograph at the perfect moment is something that I strive to achieve. 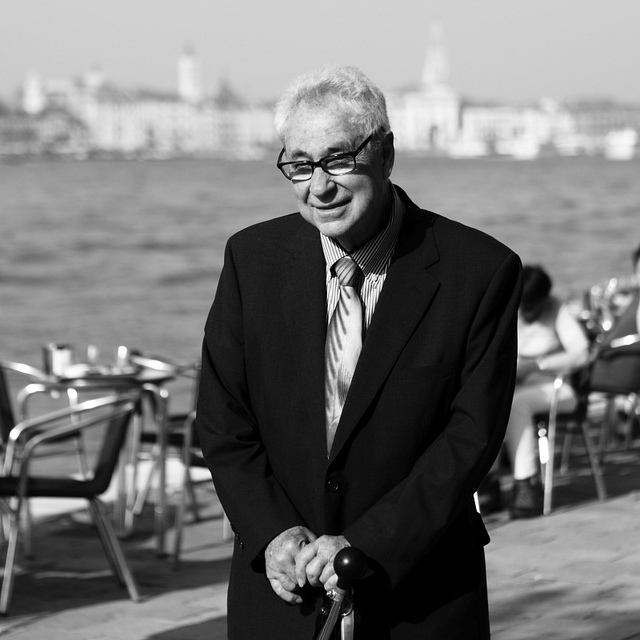 This is a link to Elliott Erwitt's personal website/portfolio. There is a large body of his work available to view or purchase. This links to Magnum's website with photos made by Elliott Erwitt when he worked for Magnum. This link has more of a description on "The Decisive Moment" as well as the man who coined the term, Henri Cartier-Bresson. I first heard Sara Bareilles's music on Pandora. I was in freshman year of high school and had been listening to mostly classical music and '80s hits in middle school. I was just starting to figure out what kind of songs I most enjoyed listening to. When I heard "Love Song", it really resonated with me. It's the kind of song that made me dance crazily around the kitchen, swinging my hair everywhere when I had to empty the dishwasher and "Love Song" came on the radio. I think what appeals to me the most about Barielles are the "no-nonsense", blunt, quality of her lyrics in songs like "Fairytale" and "Bottle it Up". Her music also lead to me to other artists that I really enjoy, like Lily Allen and Vanessa Carlton. 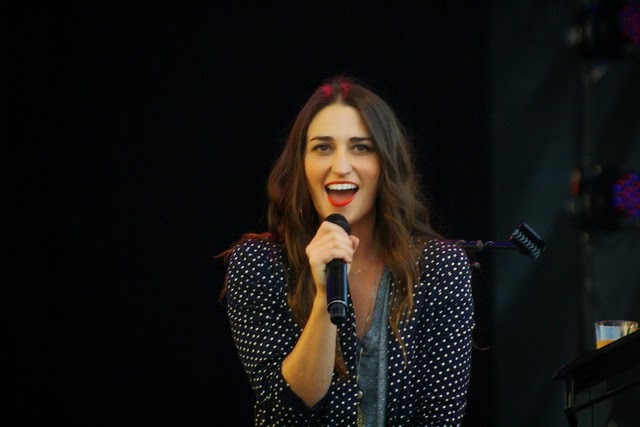 This page gives a brief overview of Bareilles's life, from her childhood to current success. It mentions her top albums and songs, as well as what led to her success. This site has videos of Barielles's latest music, as well as interviews. There is a brief blurb of her life and a timeline of her fame. You can also view her music and see other artists like her on this site. IMDb has a list of all of the movies and television that her music has appeared in. Among the television shows her music has appeared in are Glee, Dancing with the Stars, and the Vampire Diaries. 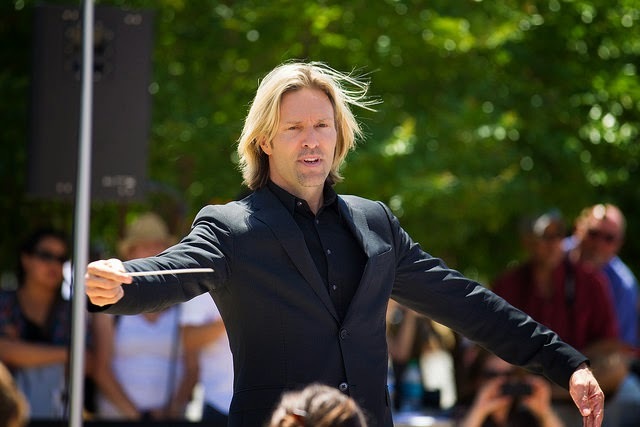 I was privileged enough to grow up in a small community with a large emphasis on the arts, and with that came exposure to incredible musical material; in particular, the work of Eric Whitacre. Learning and performing his creations is something to be remembered; both in uniqueness and difficulty. He has an ability to capture some of the most abstract sounds and chord progressions one may ever hear, and throughout a song will take the listener from confusing abnormality to understandable resolution. There are moments throughout some of his pieces where a single chord will be divided into up to eighteen different parts, and for all of that to be done intentionally is mind blowing. Incredible depth and talent coming from a guy who aspired to be a rock star for most of his early life. A piano player throughout his childhood, this Grammy Award winning artist wasn't even able to read music until his twenties, when he was inspired upon performing 'Mozart's Requiem' for the first time. At that moment he knew he wanted to compose. From there he become musically literate, earned his bachelors in music, later earned his masters from Julliard, and has been making a name for himself ever since. Whitacre not only pushes the boundaries of choral, orchestral, and symphonic music, but has gone even further by assuring that this art form is preserved and shared with others on a mass level. He has taken to the web to collaborate "virtual choirs" of individuals from all over the world; combining thousands of recordings to produce epic performances which can be accessed by anyone. He is most certainly a force to be reckoned with and will surely continue to impact the world of music in the upcoming years. This site contains a full biography. Provided is information on musical history and current achievements, along with recordings and pictures. 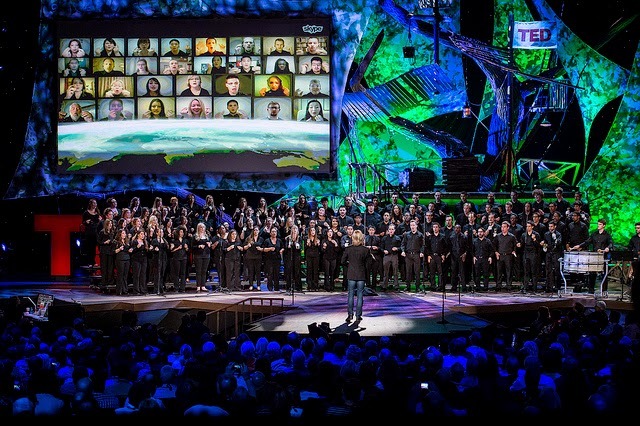 Thousands from all over the world have participated in the 'virtual choir'. This link will take you to the site of his most recent virtual endeavor, "Fly to Paradise." This site is a great archive of many compositions. All titles, run times, and years of release are listed. Steve Aoki: "The Ultimate DJ"
This webpage is Steve's Aoki's official website. Where it is a center based for all information pertaining to Steve's Aoki. There are components like tour dates, photos, videos, music previews, Aoki funds and shop. In addition there are links (Itunes, Spotify, Beatport) that leads you to where you can purchase and download his musics. This webpage is an online audio distribution for Steve's Aoki. Where it enables Steve's Aoki to upload, record, promote and share his originally-created soundtrack. 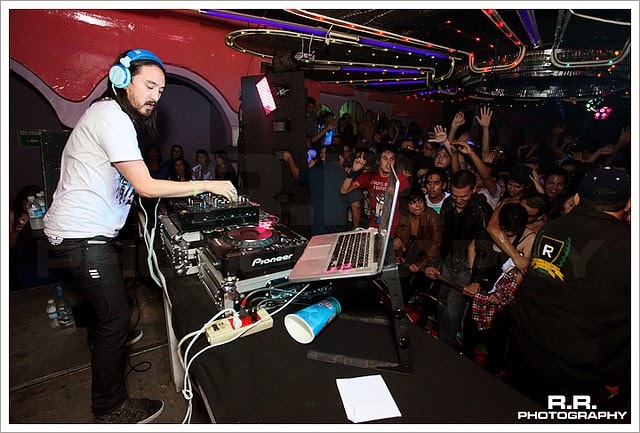 The site is consider to be a promotional website for Steve's Aoki. Where in addition it allows fans to listen to all of the tracks and uploads from Steve's Aoki music. Having said so, there are currently about 3.3 million fans followers on the site. Finally, this webpage is dedicated to both an biography of Steve's Aoki as well as news articles pertaining to his work, his involvement in both the music industry and community. In addition there are a list of his soundtrack listed, where users can purchase and download the music directly from the site. DJ Steve Aoki was born in Miami, Florida and grew up in California. Where he had develop his ears for musics during his college years at the University of California, Santa Barbara. His ear for music was developed while attending college, where he produced a do it yourself records and thus ran an underground tech house concerts at the college. His ability to drop a party rocking beats style has quickly entertained crowds and gain the dance floor. I find that Steve's Aoki work is compelling and interesting, thus are worth sharing. The reason is because not only is he a DJ (Electro House Musician), but the fact that he is also a record producer, and a club promoter. I find this interesting since he is able to manage his own work as well as performing at live shows. Another reason why I had chosen Steve's Aoki is because not only am I already had an interest in techno, club type/style of music, what separate Steve's work from other electro house musician are the fact that Steve's work are unique in a way that could be describe as "energetic" and "entertaining" in both the music styles (beats) and how it was performed. Neon is a gifted New York City American Cabaret style belly dancer, teacher, choreographer, and the publisher of World Dance New York. She was born in Russia and moved to the United States, she's married and has one child. She spends a great deal of her time working on her belly dance instructional DVD's and producing shows in the New York city area. She is acclaimed for her fast track teaching method. She believes that dance should be taught through movement and always with music. It helps the body learn moves quicker and brings the muscle memory back quicker when you are improvising. Neon started dancing with another dancer named Jehan, and was featured in Jehan's work out DVD, Neon then broke out on her own and created the Instant Belly dance DVDs and the Belly dance crash course. She turned her attention to more formal dance training and created her own line of dance DVDs. As a dancer she is trained in all the dance arts but, she is most well known for dancing with a tray of lit candles on her head to pop songs as well as more traditional dance music. She says she has an idea for movement and makes the music fit her movement rather then fit her movement to the music. This is Neon's main website. Interested parties can go here to see her latest video shoots, dance performance, apperences, and how to get in touch with her in order to book her for a show. The website is meant for people to get a small idea of what she has done and then there are links to her other pages, like Facebook, and twitter. Where she posts more frequently. This is a site dedicated to the entire dance family, under the World Dance NY name. DVD's, video, instructional streaming, and information about the stars. The site can help you find any form of dance you want, and has self defense and fitness tips as well. Neon and her best friend, and fellow dancer, Tanna Valentine's site. The site is dedicated to life's simple moments. The site has interviews about dance, videos, Neon's poetry, behind the scenes talks about dance. It is the go to for anyone wanting to see what being a belly dance star can do with her life. This site is important to hear Neon and Tanna's views about dance and allows you to get to know the two of them a little better.